A lot of us are fascinated by the wonders that Science can do. Robots, time travel, technology are some ideas that have excited a majority of us beyond measure. For people like this, Game Science Center in Berlin is a completely new exciting world altogether. Started up by 4 people who are really passionate about Science, this center has a lot to offer to any age group in terms of making science fun. Visit to enjoy experiments as well as procedures and understand concepts with discoveries like never before. Timings are subjected to change. Check the official website before visiting the center. 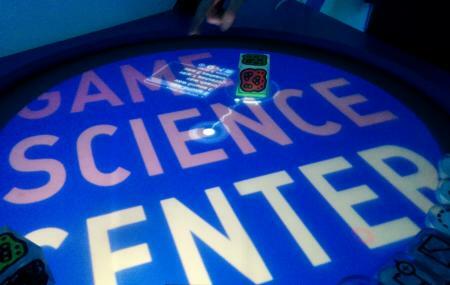 How popular is Game Science Center? People normally club together Kurfurstendamm and Martin-gropius-bau while planning their visit to Game Science Center. Fun, but a little light on actual games. Most are tech demo's, others more akin to fairground entertainment. For children it can be a fascinating experience, with some fun interactive experiences, but for older people might just be a little dry, or underwhelming. Came here three years ago. It was awesome. Everything felt new and worked. Brought 12 people here a week ago and everything was the same and half the stuff barely worked. Speakers, headphones, touch screens. A lazy effort for a center that revolves in an industry that changes so rapidly. Clearly no incentive to stay up to date. The place was full. Makes me wonder where all the money is going. A big disappointment. Took our 7 and 8 year old boys. They thought it was great. Kept us busy for a few hours and was very good value for money. Lots of fun. Perfect place to spend some time with family. We always face the problem of the differences between the ages of the kids, but it was not the case today! Every one enjoyd even we the patents! Extra star for the extremely nice and helpful lady in the reception. Went with my 9 years old son to visit the museum and we had a lot of fun. I would definitely recommend it but it's not a 5 stars (yet). Here it's why: -It's overpriced (14 euro / adult ) for the size -10-20% of the stations were out of order - the technology is sometimes already quite old. However, it is very well thought and good taking care of and again we had a lot of fun!